Five Star Centri-Cast® Basalt Liner is a reinforcement wrap for concrete and epoxy. A woven grid mesh made from continuous basalt fiber, this product features an alkali resistant styrene-butadiene resin coating designed for use with cementitious and epoxy materials. 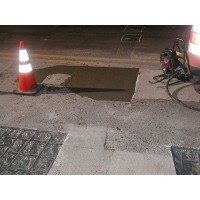 Applications include everywhere concrete or epoxy are installed. The natural properties of basalt make it ideal for applications where chemical and corrosive environments devour most other products. High Strength Wet Process Repair Mortar. Five Star Centri-Cast® One-Pass™ WP is a high strength, spray applied, permanent concrete repair mortar designed for use with single pass spray equipment. This product may be used from 1/4 inch (6 mm) to deep/full depth applications and provides a long finishing time. Five Star Centri-Cast® Pipe Prep is a specially designed concrete mix for the repair of damaged culvert and storm pipe bases in preparation for use of the Five Star Centri-Cast® systems. Pumpable through standard equipment, Five Star Centri-Cast® Pipe Prep provides increased corrosion protection of steel reinforced structures with migrating corrosion inhibitor technology. Five Star Centri-Cast® Pipe Repair Mortar is a high-performance repair mortar that provides a structural repair by creating a new, continuous, cementitious pipe within an existing, properly designed and installed culvert. This single component, fiber-reinforced hydraulic repair material is capable of making repairs without disturbing the pipe. Five Star Centri-Cast® Pipe Repair Mortar provides sealing, rehabilitation and corrosion protection of existing underground metal and concrete pipes and is a quick and economical pipe repair solution. For added protection, Five Star Centri-Cast® Pipe Repair Mortar with Microban® Technology is infused with an antimicrobial agent that inhibits deterioration caused by MIC (microbiologically induced corrosion). Five Star Centri-Cast® Water Stop is a fast-setting hydraulic cement that stops active leaks in concrete. Easy to apply, Five Star Centri-Cast® Water Stop is high-bond and high-strength and is resistant to oil, gas, salt water, and sulphates. This product is recommended for active leaks or flowing water and can be applied on new or existing concrete, mortar, brick, or any other surface to which cementitious products can bond. Five Star Epoxy Adhesive LV is a two component, 100% solids, moisture insensitive, structural epoxy adhesive used in filling cracks up to 1/4 inch (6 mm). Five Star Epoxy Adhesive LV is a low viscosity epoxy system that can be pressure injected or gravity fed. 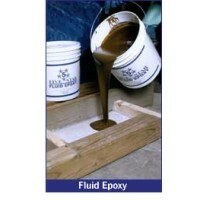 Five Star Epoxy Adhesive LV can be used as a binder for making an epoxy patching mortar. Five Star Epoxy Adhesive LV meets ASTM C 881 Types I and IV, Grade 1, Classes B & C.
Five Star® Highway Patch is a one component, fast setting hydraulic cement material ideal for horizontal repairs of concrete in traffic areas. Five Star® Highway Patch provides resistance to oil, grease, gasoline, salts and other chemicals found in the transportation environment. Five Star® Highway Patch FR is a one component, fiber-reinforced, fast-setting, high strength, cement-based repair mortar designed for transportation applications where high early strength gain is needed to reduce down time. Five Star® Highway Patch FR combines a unique chemistry requiring no wet cure or curing compounds along with fiber reinforcement for excellent crack resistance and long-term durability. Five Star® Highway Patch Winter is a one component, fast setting hydraulic cement material ideal for horizontal repairs of concrete in traffic areas for cold weather conditions. Five Star® Highway Patch Winter provides resistance to oil, grease, gasoline, salts and other chemicals found in the transportation environment. 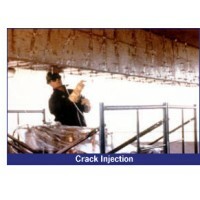 Epoxy Acrylate Anchor Bolt Adhesive. Five Star® HP Anchor Gel is a 100% solids, all weather, solvent-free structural epoxy acrylate anchoring adhesive. Using the latest technology, Five Star HP Anchor Gel has been engineered to gun down to -15°F (–26° C) , set up quickly in damp and water-filled holes and attain high early strength. Five Star HP Anchor Gel meets the performance requirements of ASTM-C-881, Types I, II*, IV & V*, Classes A, B & C, Grade 3 (*with exception of gel time). Five Star Injection Gel is a multi-purpose, two component, 100% solids, moisture insensitive, structural epoxy adhesive used in filling cracks up to 1/2 inch (13 mm). Five Star Injection Gel is a smooth, nonabrasive gel that can be pressure injected or hand applied. Five Star Injection Gel meets ASTM C 881 Types I, II, IV and V, Grade 3, Classes B & C.
Five Star® Rapid Surface Repair Easy Mix is a self-leveling, low viscosity, two-part liquid polyurethane-hybrid polymer. When supplemented with its proprietary blended aggregate, this product is used to repair and rehabilitate concrete and asphaltic concrete pavements. The enhanced polymer is high performance, rapid setting, and can be used to make an impact and traffic resistant polymer concrete. Within minutes of placement, durable, long-lasting repairs are able to handle vibration, heavy traffic, and thermal movement. 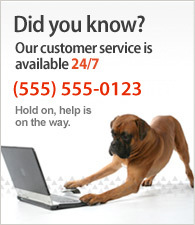 Five Star® Rapid Surface Repair PF-60 is a unique, low viscosity, two-part liquid, polyurethane-hybrid polymer. When supplemented with aggregates, this product is used to repair and rehabilitate concrete and asphaltic concrete pavements. The enhanced polymer is high performance, rapid setting, and can be used to make a resilient polymer concrete. Within minutes of placement, durable, long-lasting repairs are able to handle vibration, heavy traffic, and thermal movement. Five Star® Rapid Surface Repair R-60 is an ultra low viscosity concrete healer and penetrating crack sealer. This unique polyurethane-hybrid polymer restores concrete strength by penetrating deep into concrete pavements and re-bonding cracks. Five Star® R-60 seals concrete to reduce freeze-thaw spalling, as well as protect from further chemical attack and is traffic ready in as little as 10 minutes.